"...had me turning the pages obsessively from the very beginning." Readers Favorite. Brigitte has been chosen to renew the treaty between Atlantis and the ancient bloodline of Lemuria. As an emissary of nature, her betrothal would ensure the continued function of the Crystal Grid, the life source of the ten kingdoms of Atlantis. But as Brigitte prepares to leave from her home in the magical Dreamvale, her people are attacked by a storm of shadows. Now she is running for her life. Upon her arrival in the ruling city of Atlantis, she meets D’Vinid, a dejected musician who lives the quintessential Atlantean lifestyle of revelry, escapism and apathy. Under the eclipse of a sacred festival, they are swept into an attraction they cannot resist. 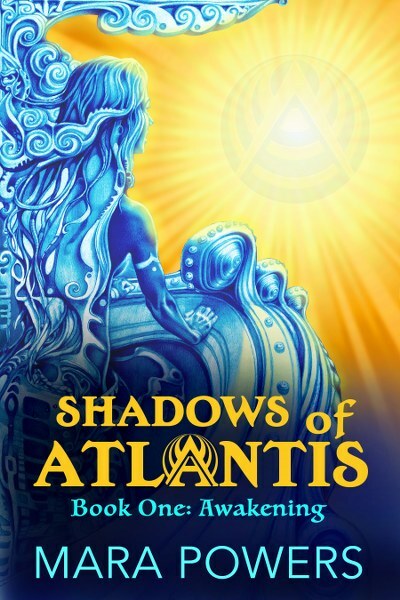 Their union may protect humanity from its worst enemy - the shadows of Atlantis. But there is one problem, this man is not her betrothed. Brigitte soon discovers that the corruption of the Grid could very well be the Grid itself. Citizens have neglected to attend the rituals required to charge the crystals with their psychic emanations. Some have fallen prey to an epidemic called “the madness”, caused by shadowy parasites that feed off human suffering. But as nature always strives toward balance, the crystals have activated a genetic upgrade among the people. The youth have begun to express supernatural powers. Could it be that D’Vinid and Brigitte are meant to be leaders among the awakened? And if so, why does it seem impossible for them to be together? A mysterious tale of romance, seduction and betrayal that reaches just enough into the modern mind to ask - will we learn the lessons of Atlantis? 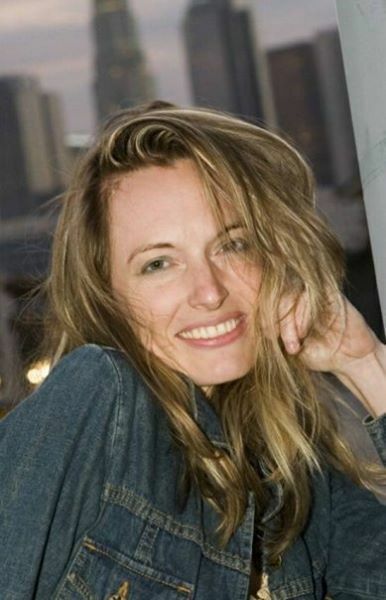 Mara Powers is a rebel of the written word who has tackled the monumental task of recreating Atlantis. When she was 16 in Fort Collins, Colorado, she began visiting the library in search of things she couldn't learn in school. Her goal was to re-define her religion. She studied theology voraciously until she discovered the concept of reincarnation though Hinduism. It was the answer to a lifelong existential crisis that had plagued her for many sleepless nights. The study of reincarnation led her to the channel Edgar Cayce. In his many books, she found his past life readings of lifetimes spent in Atlantis. This was the beginning of a lifelong quest to unravel the secrets of this mystery. She has spent upwards of 30 years exploring the labyrinth of ancient civilizations. Her decision to turn it all into a high concept, visionary fantasy series stems from her study of the esoteric depiction of Atlantis. With the other half of her research rooted in the secular, it was the best way to illustrate both aspects of this fascinating legend. Her work is the legacy of the legend. Have you ever seen that one kid who can spend all their time alone inventing games and talking to themselves? That was me. I could invent games out of rocks. I never really needed anyone to play with, because my imagination populated my mind with playmates. This went far beyond the imaginary friend. I didn’t have friends, so I invented worlds I could live in where I had plenty of friends. It can be said that you can tell what kind of career a child will have just based on how they play. For a while, had I known that I would have grown up to invent worlds, I might have laughed. I thought that was just something quirky about me that was even considered a detriment. I was a dreamer, impractical with my head in the clouds. Little did they know that someone like me is one in a million. I never stopped being a dreamer. But what makes me different is that I’ve never given up on it, and my commitment to it has never gone away. Even before I knew I would be a writer, I had chosen to find an alternative path up the mountain of life. The paths were all laid out and clear before me, but I went “off-road,” and have been bush-wacking my own path ever since. Luckily, I was part of Generation X. We were the first generation to openly shape our lives around what made us feel good. Before us, there was a list of careers to choose from. But, thanks to the influence of the baby boomer generation, we, their offspring, would become the first of the “me generation.” We began the art of inventing careers to suit our natures. I spent a lot of time bouncing around on adventures, always finding ways to make money. I worked hard, but I had one goal. I wanted to find that magical doorway to another world. Why? Because I couldn’t accept the world I was in. I wanted to find Narnia, or another dimension. I studied magic, and fairies, and went into nature to try and open portals I could leap through and escape. I went to sleep in fairy circles. I meditated, spoke to spirits, went to the shaman in the sacred mountains. You name it, I tried it. My specialty became the bizarre. It was my quest. My life was always about costumes and pageantry. Instead of spending a summer at the Renn Faire, I spent a decade in the SCA (Society for Creative Anachronism). This is a historical society that re-lives the Renaissance. Their motto is “forward into the past!” I built my life around playing that game. I became the Fairy Princess. Maybe I took my role a little too seriously, which ultimately clashed with others who also played probably even more seriously than I did. So, I decided to retire, and move on to a bigger playing field. The Faery Princess packed up her faithful steed (a green Toyota Rav 4), and went off on a new quest. I went to Burning Man where people collectively bend reality on the edge of an interdimensional crossroads, and it led me to the land of Hollywood. I spent another decade shaping the secret underground revelries where splendor and magic exist in a dazzling dimension all its own. I was a wizard, a commander of misfits. The Princess became somewhat of a Princess Leia, commanding the rebel forces in the trenches. My new moniker was Kamander Dazzle, a super hero with the power to command everyone to dazzle. But try as I might to find ways to shape the world outside of myself, I finally came back to my own mind. And like Dorothy in the Wizard of Oz, at the end of the quest, I found that I was carrying the answer the entire time. I was the answer. Now I have stepped to the role of world builder, and story teller, or way-shower may be a more of accurate term, because: show don’t tell. Despite my wanderings, I always return to Hollywood where now I have shifted my priorities to be around others who wish to shape the culture through stories. In the land called tinsel town where dreams are made and broken, I have cast my lot and thrown the dice, and come back to the role of dreamer as a career. Win a $25 Amazon gift card or a signed copy of Shadows of Atlantis: Awakening by Mara Powers! I love the coloring of the book cover. Beautiful Cover! The books sounds great. My question is where do you get your ideas for your stories. Love this cover so bright. The book sounds good can't wait to read it. I hope you enjoy the ride. I liked both the book description, and the pretty book cover. Love the cover...new author to me... but not for long! I wonder if we'll ever find Atlantis. Maybe it does exist? I like the cover - I don't see colors like that often on books. It really makes it stand out. I like the very colorful cover.